Alphabet Soup Speech Pathology is seeking a new Speechie! 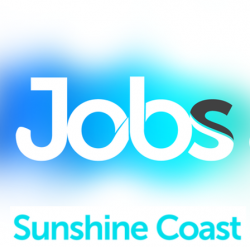 We are looking for an enthusiastic Speech Pathologist to join our Sunshine Coast team on a casual/part-time basis. Working days/hours are negotiable and will be influenced by the demand for services. Alphabet Soup Speech Pathology is a family-centred speech pathology practice located in Buderim on the Sunshine Coast. We dedicate ourselves to Paediatric Speech Pathology working with preschool and school age children. Our clinic has a homely, relaxed vibe and is well resourced with admin support and tests/therapy resources. We offer individual assessment and treatment to clients with difficulties in speech, language, literacy, fluency, social skills and adult or paediatric swallowing. Alphabet Soup Speech Pathology is a registered provider with Helping Children with Autism (HCWA), Early Intervention, Better Start Programs and NDIS. Bachelor of Speech Pathology (or higher). New graduates are welcome to apply. If you are interested in applying for this position please send Sheralyn your resume and a cover letter via email outlining why you are the most suitable applicant to join our team. Applications close April 1st 2019 or when a suitable applicant has been appointed. All applications will be kept on file for future vacancies. Job Categories: Healthcare. Job Types: Part-Time. Occupation: Professionals. Job expires in 2 days.